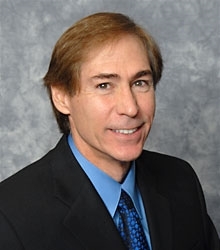 Medical Metrics, Inc. (MMI) is pleased to announce that MMI’s Director of Nuclear Imaging, John Mahmarian, M.D., has begun his one-year term as President of the of the American Society of Nuclear Cardiology (ANSC). As President, he is working to strengthen the role of nuclear cardiology in the diagnosis and treatment of CV diseases. Dr. Mahmarian is chief of the Division of Nuclear Cardiology and CT Services at the Methodist DeBakey Heart & Vascular Center. He is an expert in the field of nuclear cardiology, a subspecialty of nuclear medicine that focuses on the usefulness of radioisotopes in imaging and treating heart and vascular diseases. As an MMI faculty member, Dr. Mahmarian provides expert guidance to sponsors of clinical trials on the use of imaging to guide therapy and assess risk in patients with coronary heart disease and acute chest pain syndromes. He recently led a multi-center clinical trial of stable patients following myocardial infarction based on SPECT imaging. Dr. Mahmarian has been a member of the ASNC for 18 years and has served on numerous committees. He was Program Chair for the ASNC’s annual meeting in 2010 and is on the editorial board of the Journal of Nuclear Cardiology, a journal produced by the society.